Grandmaster Kanryo Higaonna (Higashionna was the original Okinawan pronounciation) was born on March 10, 1853, in Naha, the capital city of Okinawa. His father, Kanyo, worked as a merchant sailing between the small islands of Okinawa trading everyday goods. From a young age Kanryo Higaonna helped his father in this work and through the hard physical labor that was involved he developed a strong body. Kanryo Higaonna was still in his teens when his father died suddenly. Higaonna began his martial arts training in 1867 in Monk Fist Boxing (Lohan Quan) from Aragaki Seisho. In 1870, at the age of 16, he traveled with his instructor to Fuzhou, China. Once in Fuzhou he studied the Chinese martial arts under the great Master RuRuKo (Xie Zhonh Xiang in Chinese). RuRuKo was the founder of Whooping Crane gongfu and was a student of Pan Yuba who, in turn, was a student of Lin Shixian, a master of White Crane gongfu. Higaonna also received instruction from numerous other gongfu masters including Wai Xinxian. Hiagaonna remained in China for a period of 5-13 years. In addition to studying empty hand and weapon arts, he also became accomplished in herbology and Chinese medicine, including acupuncture. 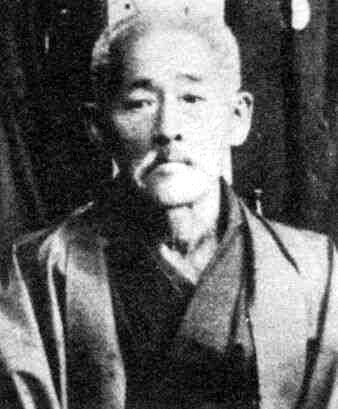 Chojun Miyagi (founder of Goju-Ryu and successor to Higaonna) said of Higaonna, "My sensei possessed incredible strength; the severity of the training he underwent in China is beyond comprehension.... Kanryo Sensei's speed and power were truly superhuman; his hands and feet moved faster than lightning". Words cannot express his real ability. We can only say that his skill was incredible, but even this fails to do him justice. In the year 1881, he returned to Okinawa where his martial arts would become known as Naha-te though he always referred to it as chuanfa. Kanryo Higaonna taught these martial arts to the people of Okinawa and at the same time continued his own research and practice. In order to teach the youth of Okinawa he developed a teaching method that was specifically designed to develop the mind and body; to improve both physical well-being. The first occasion on which the previously secretive art of Naha-te "opened" to society in general, occurred in October 1905, when Higaonna began teaching at the Naha Commercial High School. When teaching, Higaonna was an extremely hard task master. However, in his everyday life he was a quiet and humble man and one who was renowned for his virtuous character. He was a person who had no need or desire for worldly things. 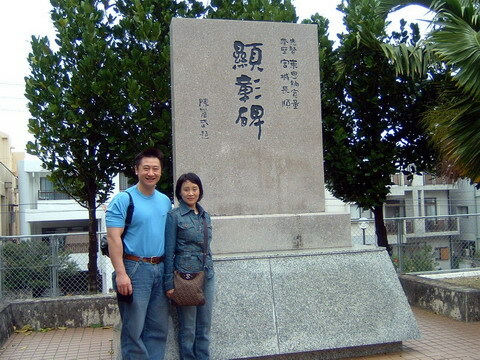 He leads a simple life that was devoted to the study and practice of martial arts. There are many stories that relate tales of Kanryo Higaonna's life and training. The power of his legs was legendary so that often he was referred to as "Ashi no Higaonna", ("Legs Higaonna") in Okinawa. His virtuous character was widely known and respected, and because of his popularity the people of Naha bestowed him with the name, Obushi Higaonna Tanmei:, a name which reflected the affection and respect they had for this great man and supreme martial artist. Kanryo Higaonna's unparalleled skill in the martial arts aside, his great and distinguished work was in bringing the Chinese martial arts from China to Okinawa, and from there spreading these arts among the people of Okinawa. Kanryo Higaonna is now bestowed with the title "Kensei (sacred fists) Kanryo Higaonna" a title which is eminently fitting. His name is synonymous with Okinawan martial arts and Naha-te, and his spirit is destined to live on forever as a great and valued treasure within Okinawan culture. Kanryo Higaonna's whole life was devoted to Karate. He passed away in December 1915 at the age of 63.